I’ve been snowshoeing a lot this winter. 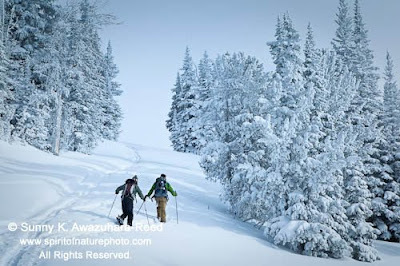 Snowshoeing is the best way to explore winter photo opportunities in deep snow at Togwotee Pass. I climbed Angle Mountain (a 1,600-foot ascension from the trailhead, 10,300 feet) with skier friends one afternoon. 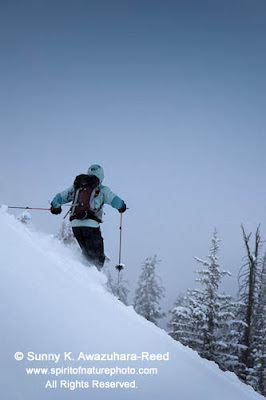 It was very steep… I’ve been snowshoeing a lot, but it was my first time climbing at that steep an angle in the snow! My two friends were climbing with skies! Recently, I’ve been working on outdoor adventure images. My two skier friends were good model for the day! 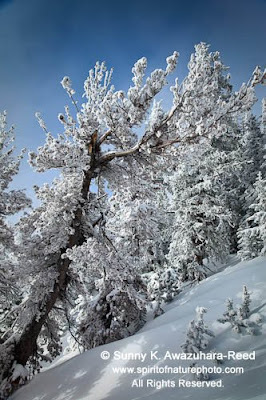 When they skied off the summit, they created a trail of beautiful powder! 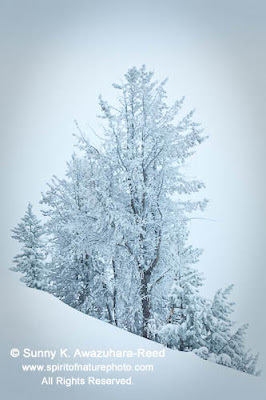 I followed them by climbing down the steep trail… it was still snowing. 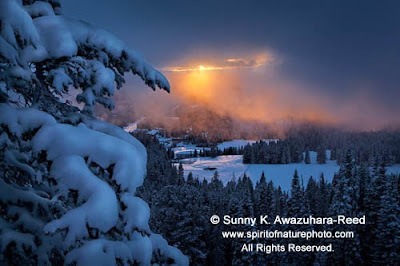 The sun peaked through a hole of heavy clouds, and beamed down to the distance hill. It was a breathtaking view…Then, as we approached sunset, the hole between clouds widened, and a perfectly west horizon appeared… The last sunlight brightened up the fog underneath. The whole sky turned bright orange! 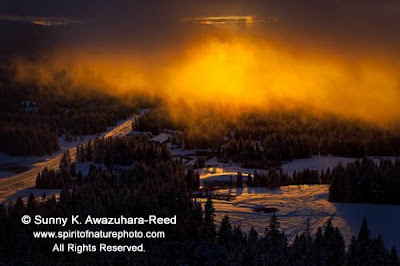 And that orange color reflected on the snowy meadow and the road below… Amazing! The magic of the last sun on a snowy day. I was in a right place at the right time!